Do you sell Forklifts on EBAY? 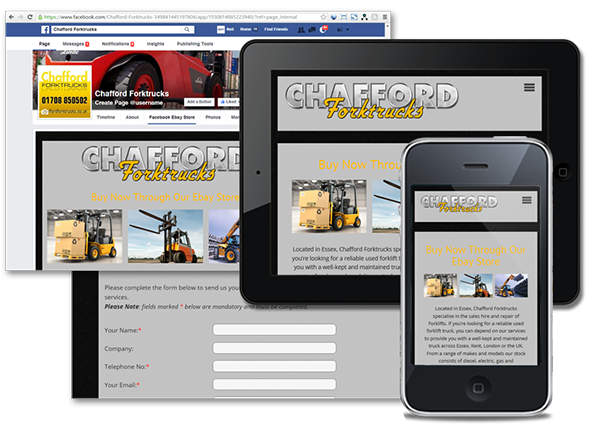 Located in Essex, Chafford Forktrucks specialise in the sales hire and repair of Forklifts. If youâ€™re looking for a reliable used forklift truck, you can depend on Chafford Forktrucks to provide you with a well-kept and maintained truck across Essex, Kent, London or the UK. Click the screenshots below to visit Chafford Forktrucks Ltd Ebay Stock Website at www.forkliftauctionstock.co.uk.